Hello! I'm Tim and thank you for visiting my website! To me, when you're considering having a home inspection performed, you're not just buying a report, but also the experience and integrity of the person performing the inspection. 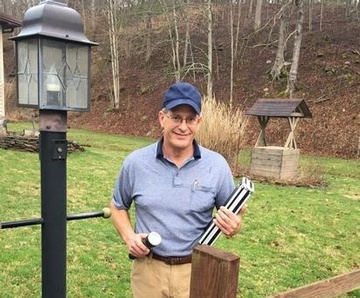 I hold a BS in Electrical Engineering; am a US Army Veteran of Desert Storm; have served as an engineer and project manager for many projects at the West Virginia State Capitol, and most recently served as the maintenance director for a major West Virginia hospital. I understand the importance of being thorough and providing timely response; I've built my reputation on it. "Choosing the right home inspector can be difficult. Unlike most professionals you hire, you probably won't meet me until our appointment. Furthermore, different inspectors have varying qualifications, equipment, experience, reporting methods, and pricing. Ultimately, a thorough home inspection depends heavily on the individual inspector’s own effort. If you honour me by permitting me to inspect your new home, I guarantee that I will give you my very best effort. Contact our home inspectors at Leading Edge Home Inspections, LLC to learn more about the home inspection services we offer in Athens, Charleston, Gallipolis, Gay, Marietta, Parkersburg, Point Pleasant, Pomeroy, Ravenswood, Ripley, Spencer, and the surrounding areas.